Ontario Superior Court ruled on Wednesday that the pharmacists should get $100,000 from Target Canada to cover their legal and financial advice in the insolvency proceedings of the chain, which is closing all 133 of its stores by mid-May. Target Canada’s franchised pharmacists have won a victory in their battle with the insolvent U.S.-owned retailer. Justice Geoffrey Morawetz also agreed to name the pharmacists’ association as well as their law firm, Sutts, Strosberg LLP, and BDO, their financial adviser, as their official representatives in the matter. “The situation facing the pharmacists is not pleasant,” Justice Morawetz said in his ruling. The pharmacists’ plight underlines the ripple effects of Target’s failure on its array of stakeholders, ranging from suppliers to landlords. The discounter’s pharmacists had each invested more than $50,000 in inventory to team up with Target for its much-touted arrival in 2013, encouraged by projections of high-volume prescription sales and heavy shopper traffic. But Target Canada’s losses continued to mount and, on Jan. 15, it filed for court protection from its creditors, leaving hundreds of unsecured creditors in the lurch. For its pharmacists, it means having to sell each of their patient records and supplies to a third party, let go staff and vacate their drugstore. “These people need all the help they can get,” William Sasso, a lawyer for the Pharmacy Frachisee Association of Canada, which represents the Target pharmacists, said in an interview Wednesday. 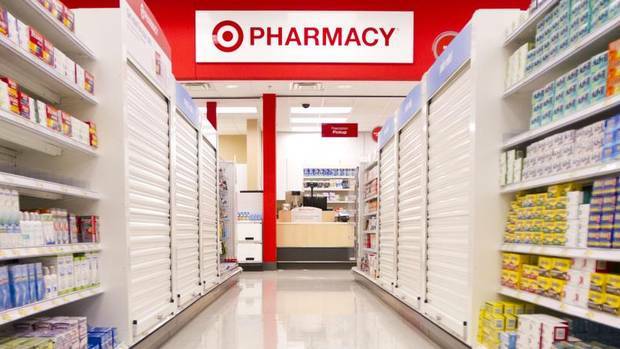 On Jan. 26, Target told its franchised pharmacists they had to leave in 30 days. Last week, however, Target responded to the pharmacists’ concerns by saying the drugstores could get more time, up to March 30 in some cases. As a result of Target’s “accommodation,” Justice Morawetz turned down the pharmacists’ bid to get still more time to stay in their drugstores before having to abandon them. “This accommodation represents, in my view, a constructive, practical and equitable approach to address a difficult issue,” the judge said. Justice Morawetz noted the pharmacists face many “transitional” issues. “First and foremost is dealing with the patient records and ensuring uninterrupted delivery of prescription drugs to all such patients.” As well, they have to deal with relocating or shutting down their pharmacies and returning some products to suppliers. Meanwhile, some suppliers are fighting with Target to get back the goods they shipped to it in the 30 days before the retailer filed for creditors’ protection. If the proceedings were a bankruptcy, the vendors would have had the right to ask to retrieve their 30-day inventory. Two baby-product suppliers, ISSI Inc. and Elfe Juvenile Products, suggest in court filings that they shipped large amounts of goods to Target in those 30 days. “It is clear from the communications from Target Canada personnel with whom ISSI and Elfe were dealing that they continued to represent, either directly or indirectly, that Target Canada was financially sound, its future was bright and that 2015 would be a great year,” Shell Bern, president of ISSI and Elfe, said in a filing. Late Wednesday, the monitor, Alvarez & Marsal Canada Inc., said inventory on-hand as of Dec. 15 was about $623.1 million, excluding goods in transit, while inventory on-hand as of Jan. 15 was about $526.6 million, excluding goods in transit.